Today, telephone systems aren't simply a means of communication - they're a linked and vital part of an overall unified telecommunications network. A strong unified communications (UC) system can make it easier to do business, while also allowing you to collect superior intelligence on your contacts with customers and clients. Additionally, revolutions in Voice-over-IP communications have allowed businesses to embrace phone systems that allow worldwide calling at a fraction of the cost of traditional long-distance service. We offer 8x8 cloud solutions to help businesses transform their customer and employee experience. With one system of engagement for voice, video, collaboration and contact center and one system of intelligence on one technology platform, businesses can now communicate faster and smarter to exceed the speed of customer expectations. Adtran's portfolio of enterprise cloud communications services enables you to meet the ever-increasing connectivity demands of your business customers quickly and cost-effectively, all while growing your market and margins. Adtran offers a bundled service from ProCloud UC Powered by BroadSoft which is a cloudbased unified communications and collaboration suite that helps businesses stay connected and be more productive. 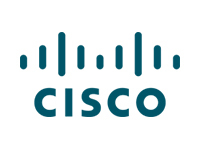 The worldwide leader in networked communications, Cisco, has a full line of high-grade reliable phones ready for deployment in businesses of all sizes. Most Cisco phones include high-quality color displays and touchscreens, with many featuring built-in video support as well. Cisco's deep knowledge of networking mean these are UC-ready and easy to configure. Meraki phones are designed to instantly integrate into an existing Meraki network seamlessly and with almost zero setup time required. Meraki phones can be managed directly from the Meraki Dashboard, making administration a breeze. Additionally, they feature a revolutionary button-less design that puts all the controls directly on a beautiful large touchscreen - truly a phone of the future. Polycom is widely recognized as the worldwide leader in business communications systems, and the most popular brand of corporate phones in the world. With a huge range of products from bare-bones phones suitable for outfitting large call centers to high-end executive-level conference phones, there are Polycom models for every business need. With TPx you can unleash the power of Unified Communications as a Service. UCx is built on the high-quality VoIP service that TPx is known for – but it’s far more than a business phone system. With the UCx desktop and mobile apps, you can call, chat, video conference, and start interactive online meetings from anywhere. UCx will re-energize your work day with collaboration and connection wherever you are. Let us help you learn more about our UCx user bundles, group features, call centers, and CRM integrations that will enhance the way you do business. VTech offers some of the best deals in telecommunications, because they own all their own manufacturing facilities. Their phones are exceptionally high-quality and available with a range of features and price points, with their conference phones being of particular note. A VTech investment will stretch your communications budget a long way. The second-largest provider of business phones worldwide, Yealink combines cutting-edge technology with reasonable prices. Along with their full range of desk phones, Yealink has some of the most cost-efficient and easy-to-use videoconferencing systems in the world. Yealink puts robust video communications within reach of mid-range budgets. To learn more, contact Hummingbird Networks today for a full consultation on your IP phone options!